"YOU ARE NOT A MASTER GRILLER UNTIL YOU'VE USED OUR GRILL TOOLS!"!! 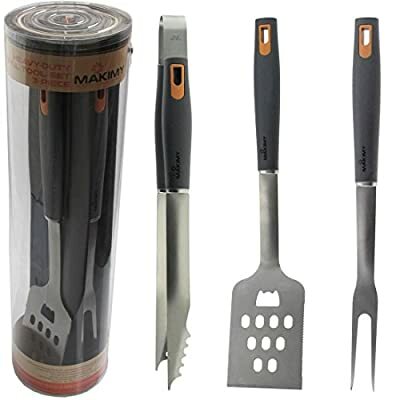 Grill in comfort & style with our exclusive high-quality, premium, stainless-steel 3 Piece Grill Set Tools. While others promise you the best grilling tools money can buy - it is our high-quality products that make the difference. We use only premium materials when manufacturing our products and we provide a warranty if our products don't live up to our promises. The handle lengths of this tool set keeps you out of harm's way while grilling, but allows you the proximity to be able to cook your food with ease. Our grill tools are definitely high-end without the high price! GUARANTEED YOU WILL BE REACHING FOR YOUR BBQ TOOL SET OVER AND OVER AGAIN WHEN GRILLING YOUR MEALS. 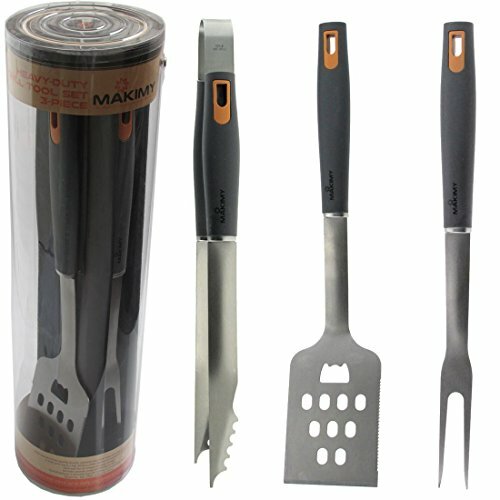 TRY our 3 Piece BBQ Tool Set before they are sold out! - Click "Add to Cart" above to get yours today!